Paul joins with Jesus Christ in this thought from Acts 20:35, "And I have been a constant example of how you can help those in need by working hard. You should remember the words of the Lord Jesus, "It is more blessed to give than to receive." 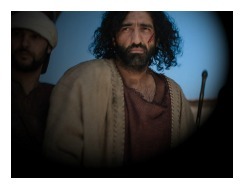 We must heed Jesus' command by following Paul's example. Our hearts' greatest desires should include fulfilling the works God has laid out for us (Ephesians 2:10). Thanks for stopping by today. In the past year, I've gone on Christian mission trips with a terrific U.S. based mission organization. The mission assists those people who have been struck hard by natural disasters, such as Hurricane Irene and Superstorm Sandy. You'll be introduced to the organization in a moment, but, realize first what happens to people in natural disasters (i.e. tornadoes, floods, hurricanes, forest fires, etc). There are many reasons for Christian missions trips, but, I'd like to focus on one area for this page. The United States has been struck with natural disasters relentlessly for several years with strong storms from coast-to-coast. Natural disasters seem to be intensifying, so let's be aware of a great need that exists. Christians, as servants of God, must consider the welfare of their neighbors (John 15:13). Let's talk about our country's current crisis wrought by natural disasters. Severe storms and disasters hit our land, and people's homes get blown away, knocked off their foundations, burned, and/or flooded, leaving the houses uninhabitable. Many of their personal belongings are destroyed, as well, and the victims are left to relocate with distant relatives or other types of temporary housing. Shelter is a human NEED, therefore, it is our Christian duty to address those souls who've lost their home to a natural disaster. Unfortunate people in this situation are forgotten and left to fend for themselves many times. After the television news crews depart for another disaster, and after the initial outpouring of sympathy and funds dry up, the victims are left lonely and hurting. Neighborhoods that once thrived are vacated by many businesses and homeowners, with mostly work crews, and police officers sparsely scattered around to protect the town. Jesus calls us to help the hurting. As good neighbors, we should all consider Christian mission trips, both globally and in our home countries. There are enough hurting people to keep us all busy on a full-time basis. Can't we all, at least, give a little time and take a short-term Christian mission trip? Let's be a good neighbor to the needy. Let's produce good fruits by abiding in Christ and loving and serving those people experiencing difficult trials. Jesus is counting on you. This page introduces one terrific idea for Christian mission trips that help the Lord reach a hurting and dying world. The missions organization introduced on this page is the Baptists On Mission. They're a Disaster Relief Reconstruction Mission. They have Christian mission trips available right now, even in a moment's notice. I chose to serve the Baptist Men of NC branch of Baptists On Mission. But, know this, you don't have to be Baptist, a man, or from North Carolina to serve with them! You simply need to have a heart to serve God and your neighbor. Do you qualify? Click here to learn more on Facebook: Baptists On Mission. God-centered men, women, college students, and even individual families can assist this wonderful, evangelistic mission organization - Baptists On Mission. Myself, I let them know I'm coming and jump in the car and go lend a hand. I LOVE obeying Christ, the True Vine, and bearing good fruit in God's Vineyard. Baptists On Mission, specifically the Baptist Men of NC, are currently located at their homebase in Grace Tabernacle Church, Allenwood, NJ. 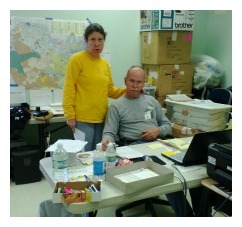 Billy & Ann Layton are the mission coordinators and they're waiting for your support. Check out their (click) Mission Trip Adventures Blog. Of course, (click) funds are needed, and (click) construction tools and supplies are needed for this massive mission project; however, their greatest needs are for Christian mission trips joining them on the Jersey Shore. 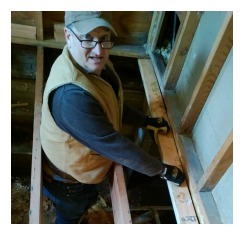 The Baptists On Mission group needs servants willing to assist in home reconstruction projects. You don't have to be master carpenters to join them in their disaster relief efforts. The New Jersey team needs both unskilled and skilled laborers for the harvest. They have cooking crews, administrative needs, clean-up crews, fogging crews, tear-out crews, and reconstruction crews, which all need to be filled with willing servants. Are you willing and able? If so, (click): Baptist Men of NC. 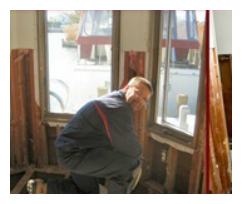 Christian mission trips to the Jersey Shore provide disaster relief for the victims affected by Hurricane Sandy. You can have a dramatic, positive impact in people's lives. Conveniently and economically speaking, your housing and meals are provided by Baptists On Mission, so, there are few hassles and you don't need to raise funds! Christian mission trips to Allenwood, NJ allow short-term missionaries to join in prayer with New Jersey residents. The people welcome prayer and your service, and their hearts melt with gratefulness. A young lady was led to salvation and a new life with Christ when one of our volunteers prayed with her. She literally became a new person overnight. Glory to God! God blesses the volunteer missionaries that sign-up for this mission. God will also bless you for serving him by helping those in great need. Your initial drive up and down Hwy 35 along the coast will humble you as you witness the destruction. Because of the utter devastion, one cannot help but wonder if his or her meager efforts will serve any purpose. Our efforts seem like a drop in the ocean. However, when the homeowner(s) stop in and witness Christ's servants working away in their home, the miracle begins. The victims of the natural disaster see God at work right in their own home. Christian mission trips have an eternal, positive impact on people. There's a beautiful thing happening in New Jersey right now. Your hands are needed in Seaside Heights, Lavellette, Sea Girt, Belmar, Sandy Hook and many other towns up and down the Jersey Shore. God has gone ahead of you and prepared a good work for you to accomplish (Ephesians 2:10). He has already provided funds, housing, meals, and servants like Billy and Ann Layton. God has also brought them the victims who have great and immediate needs. These are real souls who need real Christian service. Will you respond to God's call? Click here: New Jersey Christian Mission Trips. Are you thinking about starting a worldwide mission? Join me at my Great Commission page. "The harvest truly is plenteous, but the laborers are few." Jesus Christ, Matthew 9:37. God had an only Son, and he was a missionary and a physician. David Livingstone. Go not to those who want you, but to those who want you most. John Wesley. Dear Lord, Thank you for all the heavenly and earthly blessings you've given me. Thank you for the quiet and comfortable life with which I'm blessed. Will you now place a higher calling on my life? Will you allow me to show my gratefulness to you by serving those neighbors of mine living in New Jersey? Jesus, please work in my heart and ignite a desire to join in the disaster relief efforts along the Jersey Shore. Oh, God, most of all, I pray for the volunteers who you're using there; and, I pray for those victims who see Jesus in these true disciples. May you bring them comfort, peace, and salvation in Christ's name, Amen.